The Assembly of Heads of States and Government of the Organisation of African Unity (OAU) adopted the protocol to the African Charter establishing the human rights Court in Ouagadougou, Burkina Faso, on 10 June 1998. The key purpose for the establishment of the human rights Court was to compliment and strengthen the protective mandate of the African Commission. The protocol establishing the Court came into force on 25 January 2004 after receiving the 15th instrument of ratification by the Comoros on 25 December 2005. The AU Commission called on States Parties to nominate candidates to serve on the African Court. By July 2004, nine States Parties had already submitted their nominations for judges. Three States, namely the Gambia, Lesotho and Senegal offered to host the human rights Court. At the January 2005 AU Summit, the Assembly of Heads of state and government decided to postpone the election of judges to July 2005. Eleven judges were elected at the January 2006 Khartoum Summit. The judges held their first meeting at the end of the June 2006 Banjul Summit after the swearing in ceremony at the AU Summit. Also, they considered their draft Rules of Procedure. The AU further confirmed that the human rights and the integrated court will have its seat in Tanzania. 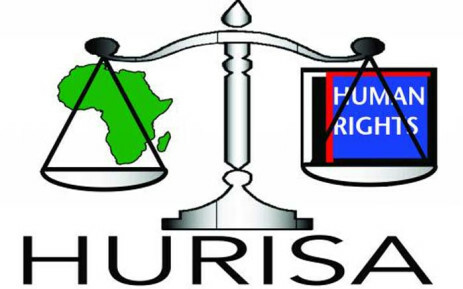 Following a proposal by the chairperson of the Assembly and head of the Federal Republic of Nigeria, the AU decided to integrate the Human Rights Court and the Court of Justice of the AU. Underlying this decision was the concern at the growing number of AU institutions, which it could not afford to support. The AU Commission was requested to work out the modalities on the implementation of the decision to integrate the courts. A panel of legal experts met in Addis Ababa, Ethiopia from 13-14 January 2005 to consider the decision and make recommendations. This panel drafted a protocol entitled, “Draft Protocol on the Integration of the African Court on Human and Peoples’ Rights and the Court of Justice of the AU”. This was presented to the Executive Council of the AU at the summit in Abuja, Nigeria, January 2005. The Executive Council at the AU Summit was unable to endorse the draft protocol. Instead, it decided to refer the report of the Permanent Representatives Committee (these are ambassadors to the AU in Addis Ababa, Ethiopia) and the AU Commission’s reports to a meeting of legal experts from governments for their recommendations, which would be presented at the next ordinary session of the AU in July 2005. Further and importantly, the Executive Council decided that the operationalisation of the Court should continue without prejudice. A meeting of government legal experts took place in Addis Ababa, Ethiopia from 29 March to 1 April 2005 to consider these documents. Acknowledging the complexities involved in creating an integrated judicial system, the meeting recommended that (1) the operationalisation of the Court should continue, (2) the ratification of the protocol establishing the Court of Justice of the AU should continue until it comes into force, and (3) that only then (as in both protocols being in force) should the process to integrate the two courts resume. The body of government experts further recommended that the AU should determine the seat of and elect judges to the Court. The ambassadors at the AU Commission in Addis Ababa met from 15-19 May 2006 to discuss the draft single legal instrument on the human rights and justice courts. The Algerian foreign minister and former president of the International Court of Justice, Mohammed Bedjaoui drafted the initial draft, which was discussed in Algiers in November 2005. The document was presented to the Council of Ministers at the June 2006 Banjul Summit for resolution following pending sections. The ministers resolved to revert the text to governments for finalisation and presentation at the January 2007 Summit.